CANTON, Mass – After two straight away games to open the 2016 season, the Canton Bulldogs were ripe for some home cooking. 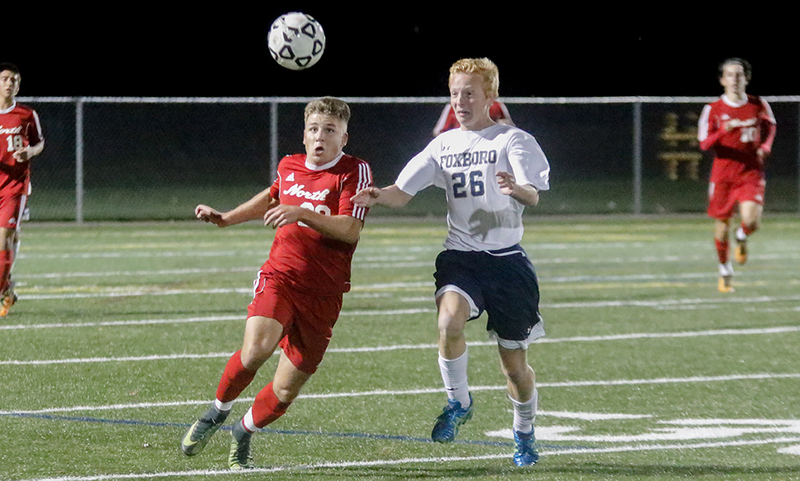 Canton was on the front foot from the opening whistle in its home opener at World War II Veterans Memorial Field on Tuesday night and walked away with its first win of the season, a 2-0 decision over North Attleboro. The Bulldogs were in control for the first 10 minutes of the match, putting constant pressure on North’s midfield and backline but couldn’t test North goalie Shawn Watters. North had the first shot on goal in the 12th minute off a shot from Leo Charlebois but Canton goalie Abe Garber made a comfortable save. 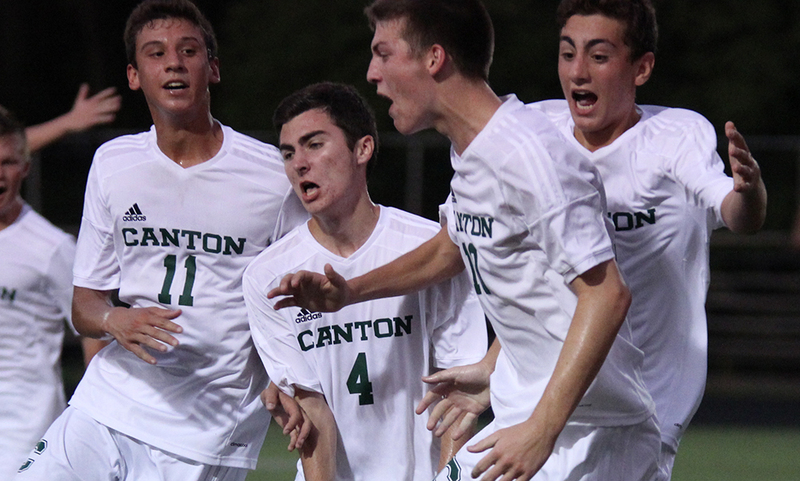 In the 16th minute, Canton kept its pressure up and it paid off. John Agnitti launched a service into the area after a short throw and his cross was met by a charging header from Griffin Roach but Watters was up to the task, pushing it down. North’s defense was unable to get a clean clearance and the loose ball fell to the center of the area where junior Jake Verille uncorked a shot but once again Watters made a terrific save. The loose ball fell to the feet of an open Paul Corcoran and the sophomore was able to tuck his shot inside the near post for opening goal of the season and the Bulldogs’ first of the season. North’s best chance of the half came in the 28th minute after a deflected throw in fell to the center of the area but Gabe Pinhancos’ strike fired right over the bar. Canton took a 1-0 lead into halftime but it didn’t take long for the Bulldogs to double to advantage when the second half started. Inside the first minute, Garber’s punt was flicked on at midfield by Simon Cruz but Watters came off his line and covered before Canton could pounce. But a minute later, Verille took possession at midfield and sent a through ball that found Corcoran in behind the defense. The sophomore calmly slid his shot into the net for his second goal and to make it 2-0. 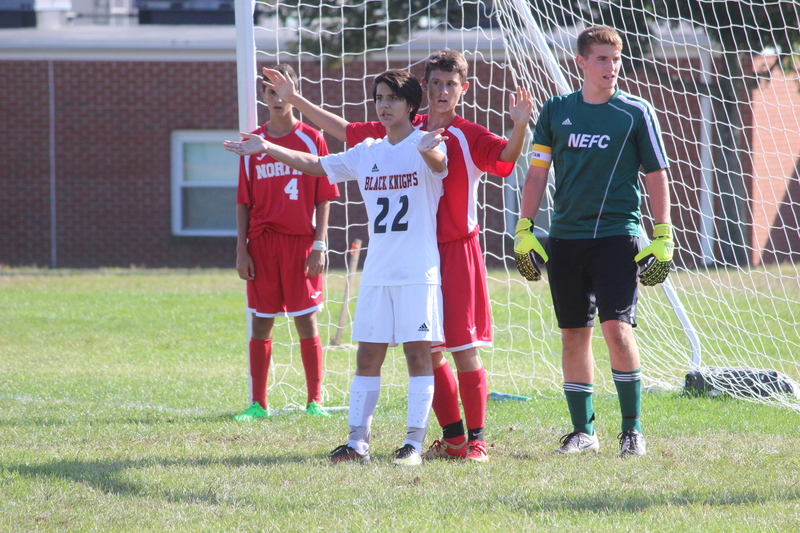 North Attleboro got its offense in gear over the final 20 minutes of the game. Josh Rodriguez beat a pair of defenders but his cross went unanswered as it skipped through the area. In the 72nd minute, Pinhancos played Rodriguez along the wing and his cross was met by a touch from Charlebois, but Garber dove to his right and palmed the shot out. 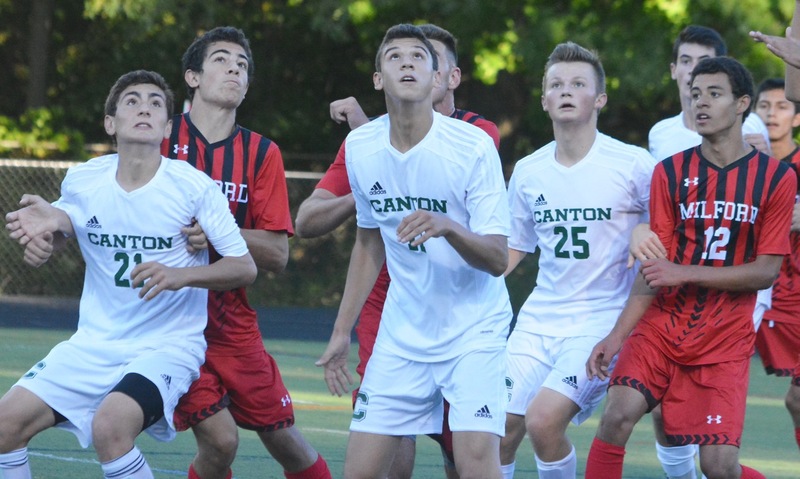 Canton boys soccer improves to 1-2 on the season, both overall and in league play. The Bulldogs are back in action on Saturday as they host Milford in the opener of a doubleheader with the girls to follow. North Attleboro (1-2-1, 1-2-1) will try to bounce back on Thursday in a non-league affair with KP before hosting Sharon on Friday.